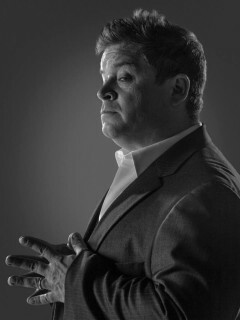 BookPeople welcomes comedian Patton Oswalt, who will be in conversation with Suzy Spencer about and sign copies of I'll Be Gone in the Dark, written by Oswalt's late wife, Michelle McNamara. I’ll Be Gone in the Dark - the masterpiece McNamara was writing at the time of her sudden death - offers an atmospheric snapshot of a moment in American history and a chilling account of a criminal mastermind and the wreckage he left behind. It is also a portrait of a woman’s obsession and her unflagging pursuit of the truth. Utterly original and compelling, it has been hailed as a modern true crime classic - one which fulfilled Michelle’s dream: helping unmask the Golden State Killer.